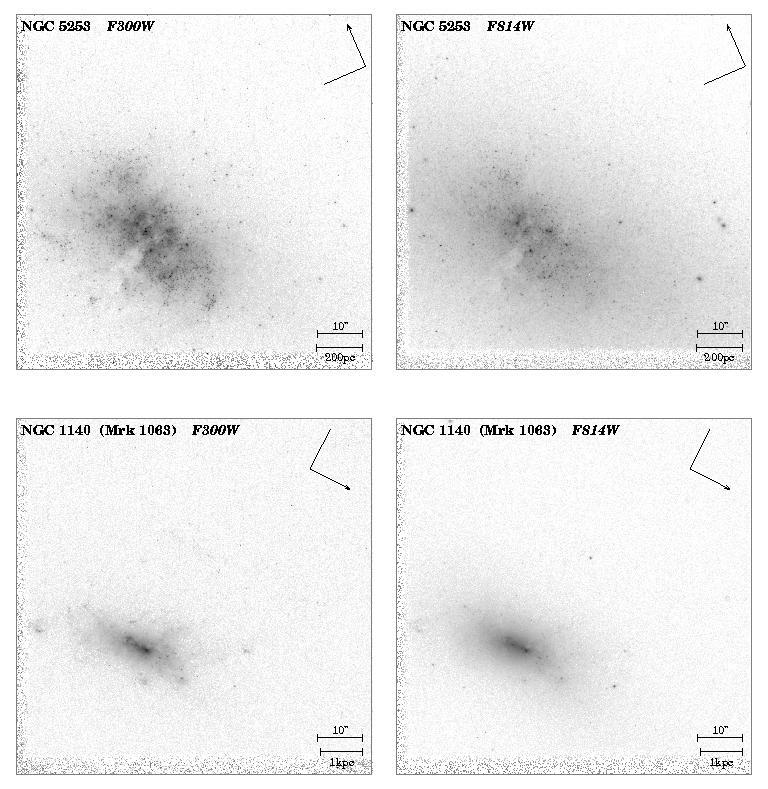 (1) Early-type galaxies show a significant decrease in surface brightness going from the red to the mid-UV, reflecting the absence of a dominant young stellar population, and in some cases the presence of significant (central) dust lanes. 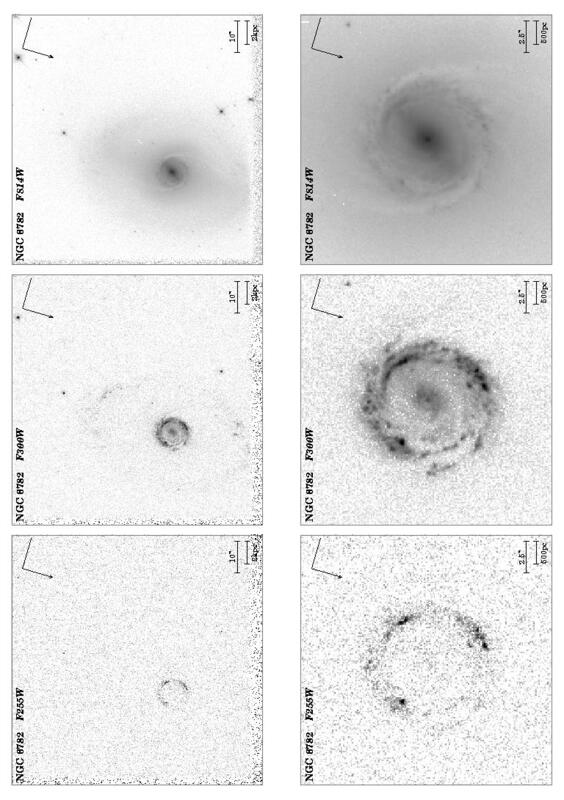 Galaxies that are early-types in the optical show a variety of morphologies in the mid-UV that can lead to a different morphological classification, although not necessarily as later-type. 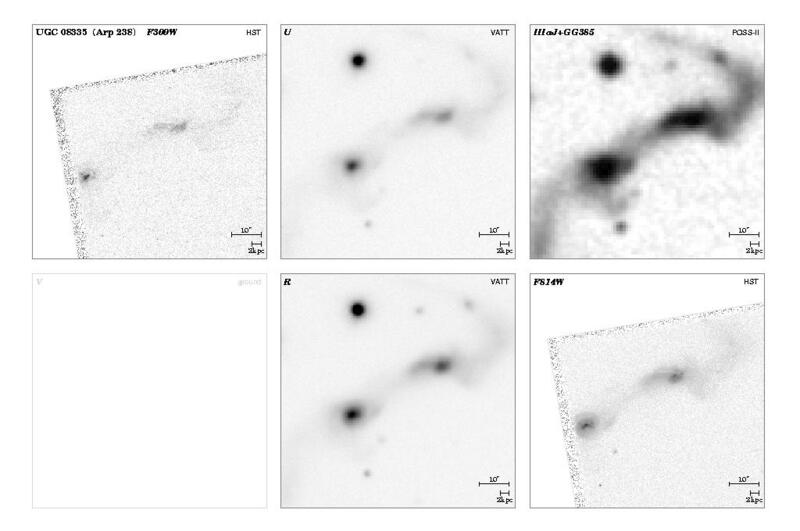 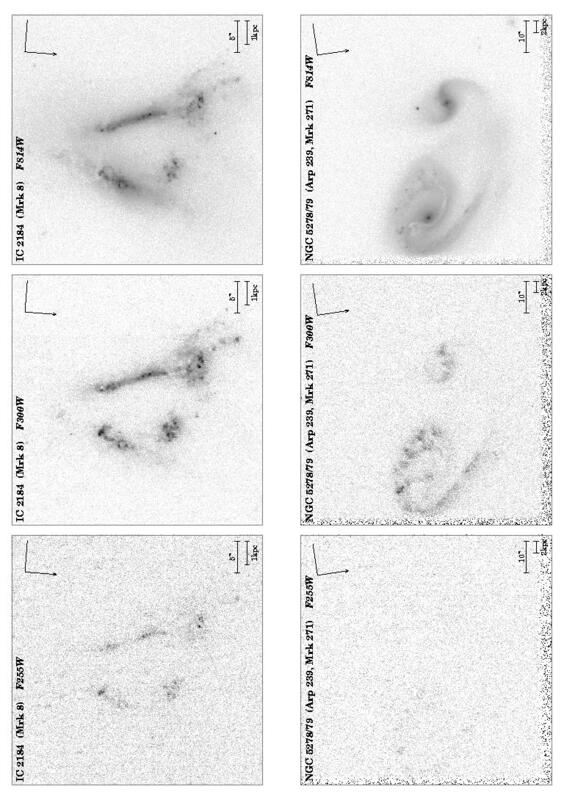 Some early-type galaxies become dominated by a blue nuclear feature or a point source in the mid-UV, e.g., due to the presence of a Seyfert nucleus or a LINER. 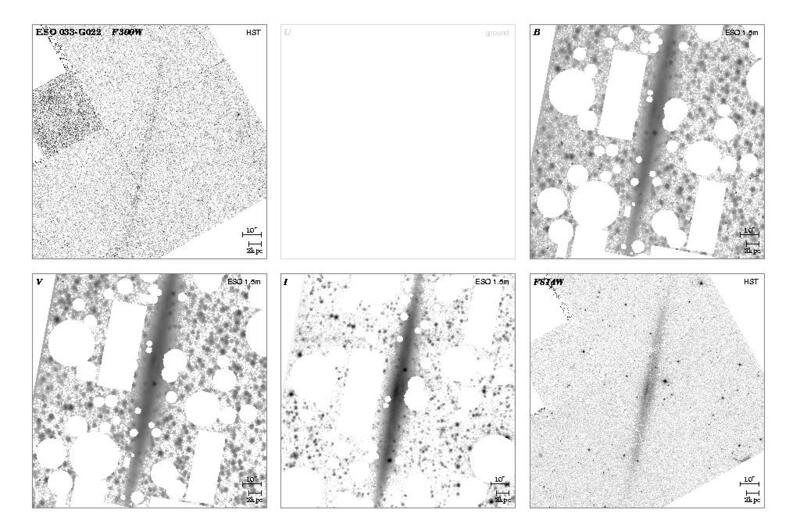 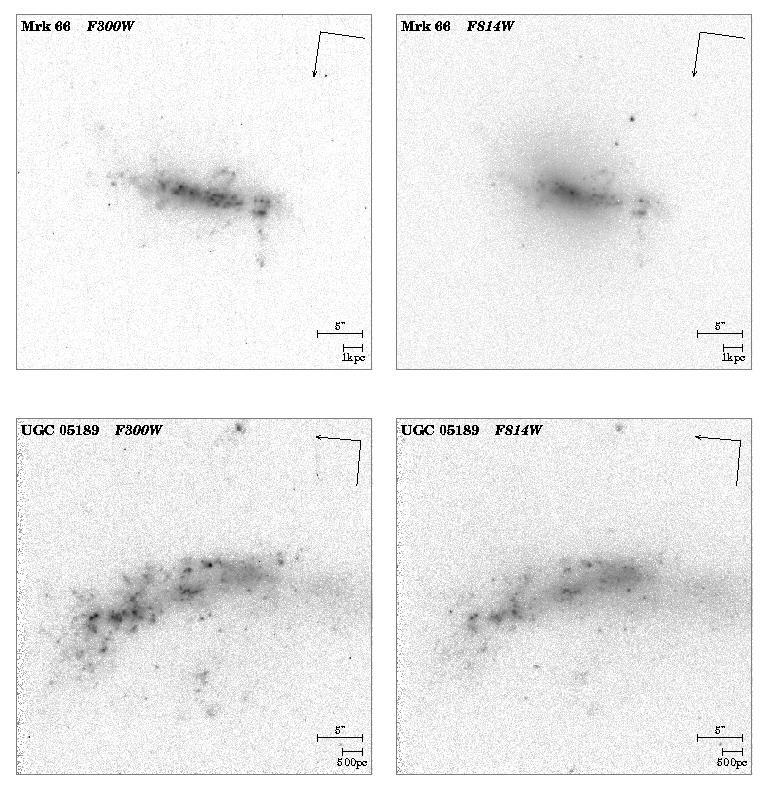 This is in part due to our mid-UV surface brightness selection, but it also suggests that part of the strong apparent evolution of weak AGN in early-type galaxies may be due to surface brightness dimming of their UV-faint stellar population, which renders the early-type host galaxies invisible at intermediate to higher redshifts. 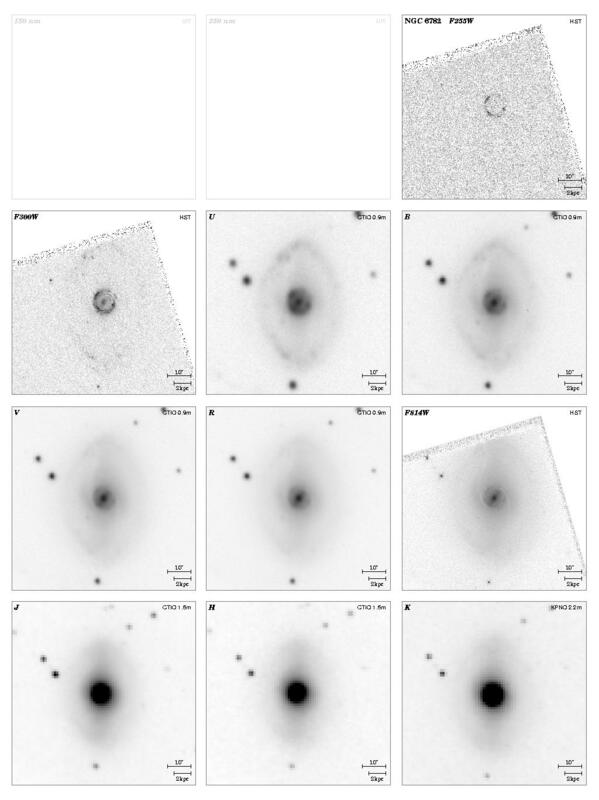 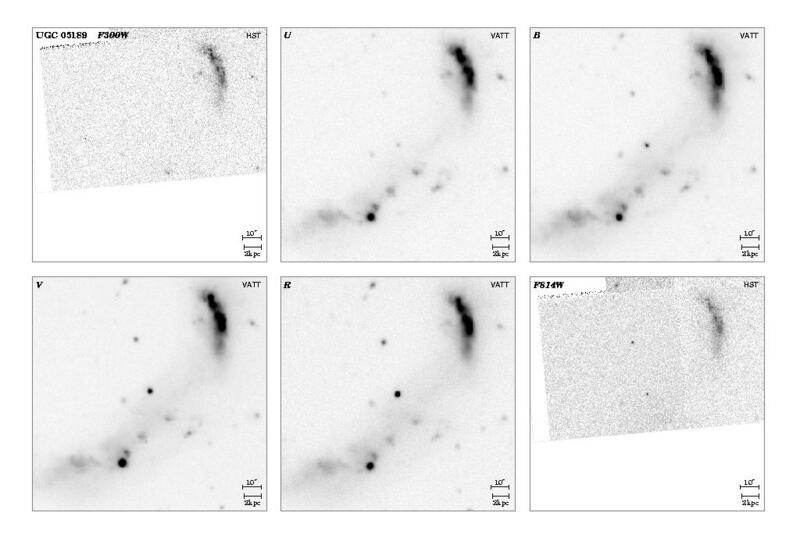 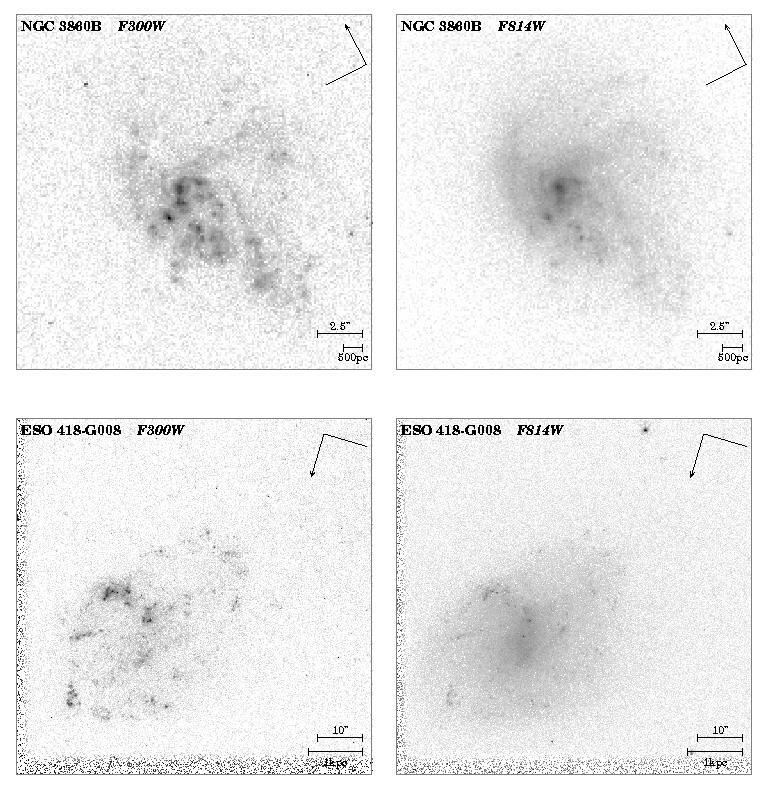 (2) About half of the mid-type spiral and star-forming galaxies appear as a later morphological type in the mid-UV, as ASTRO/UIT also found primarily in the far-UV. 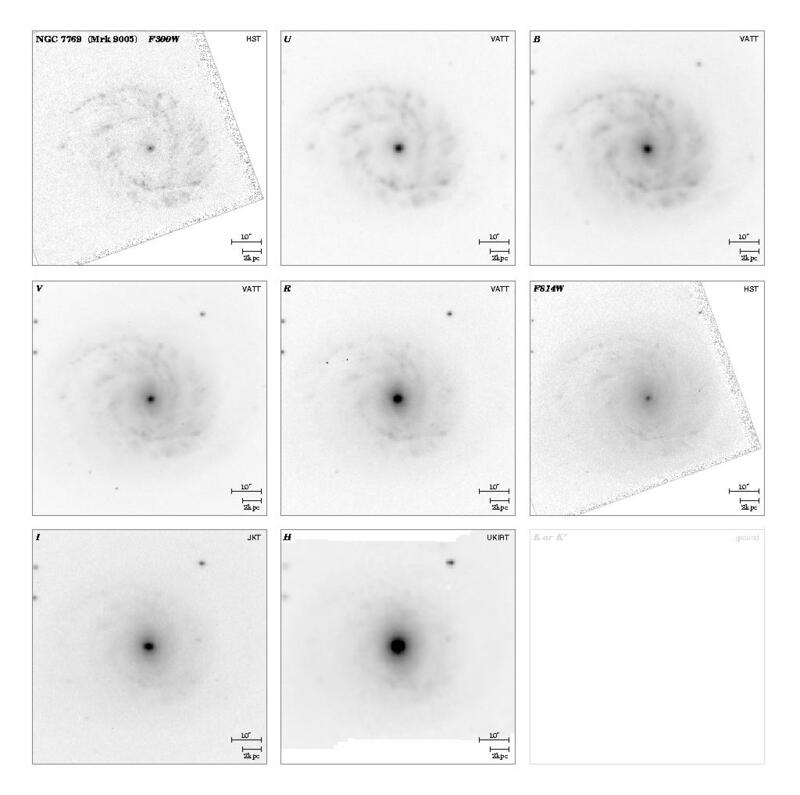 Sometimes these differences are dramatic (e.g., NGC6782 shows a spectacular ring of hot stars in the mid-UV). 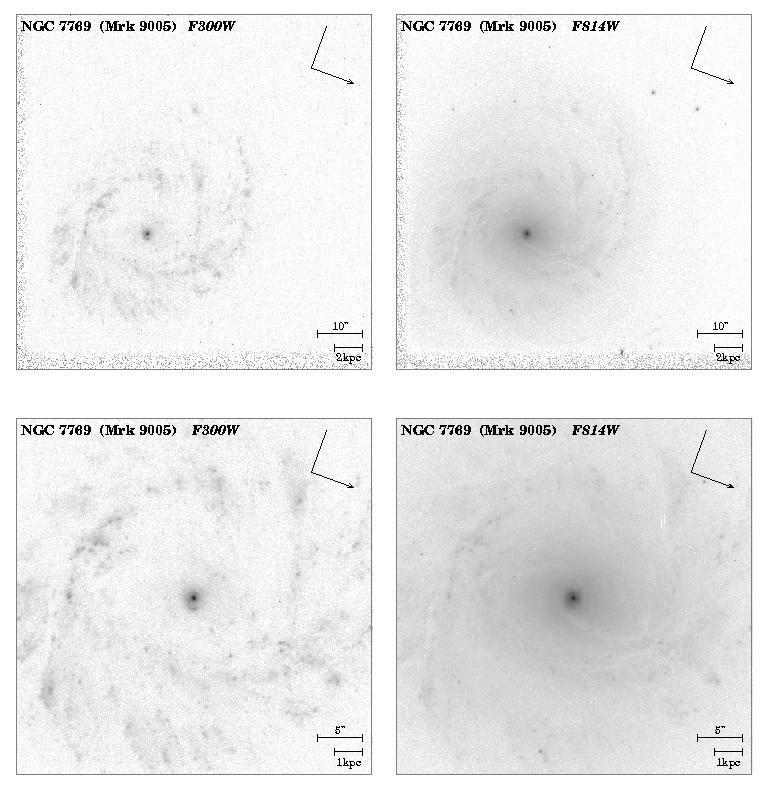 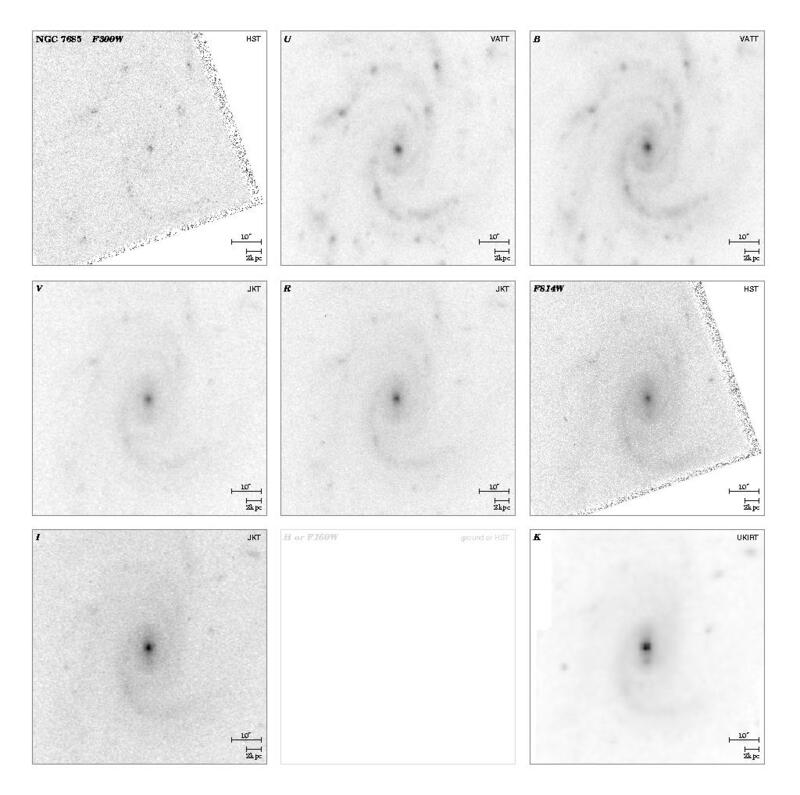 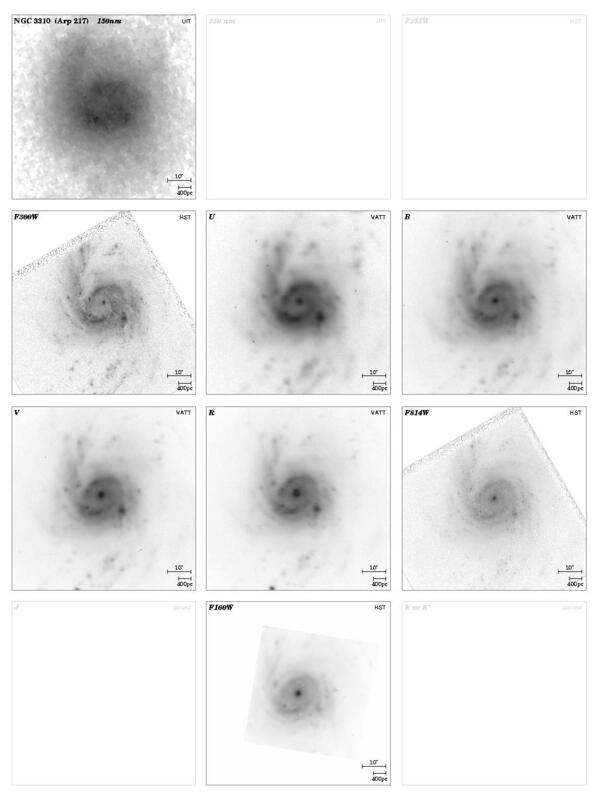 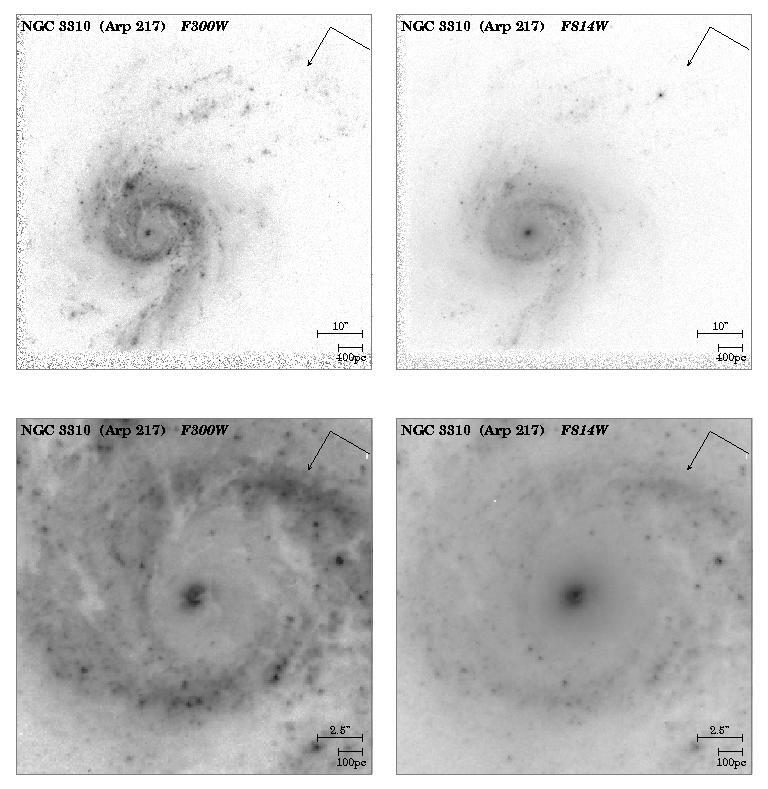 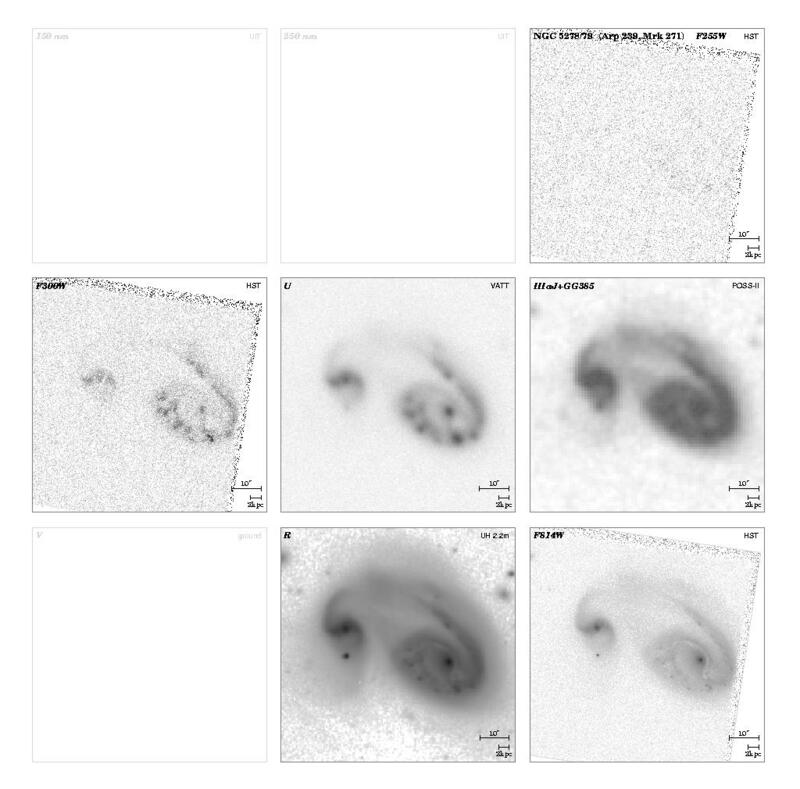 However, not all mid-type spiral galaxies look significantly different in the mid-UV. 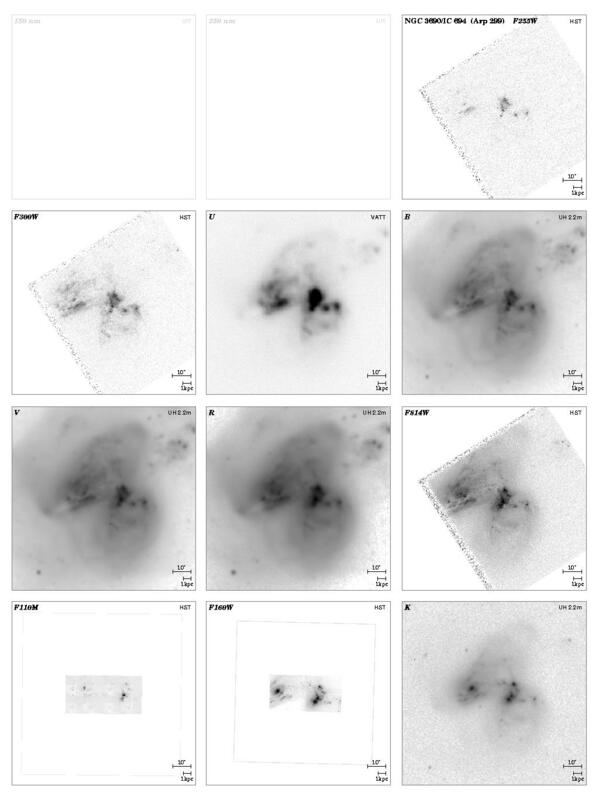 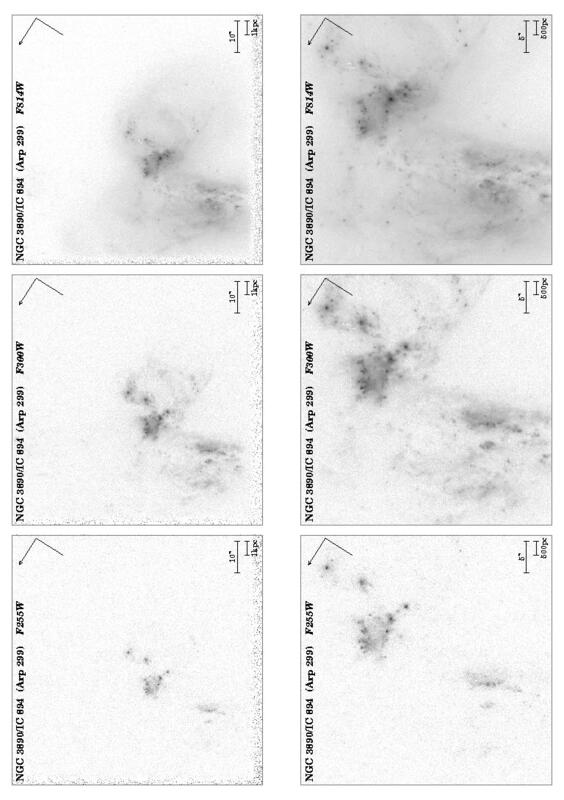 Their mid-UV images show a considerable range in the scale and surface brightness of individual star-forming regions. 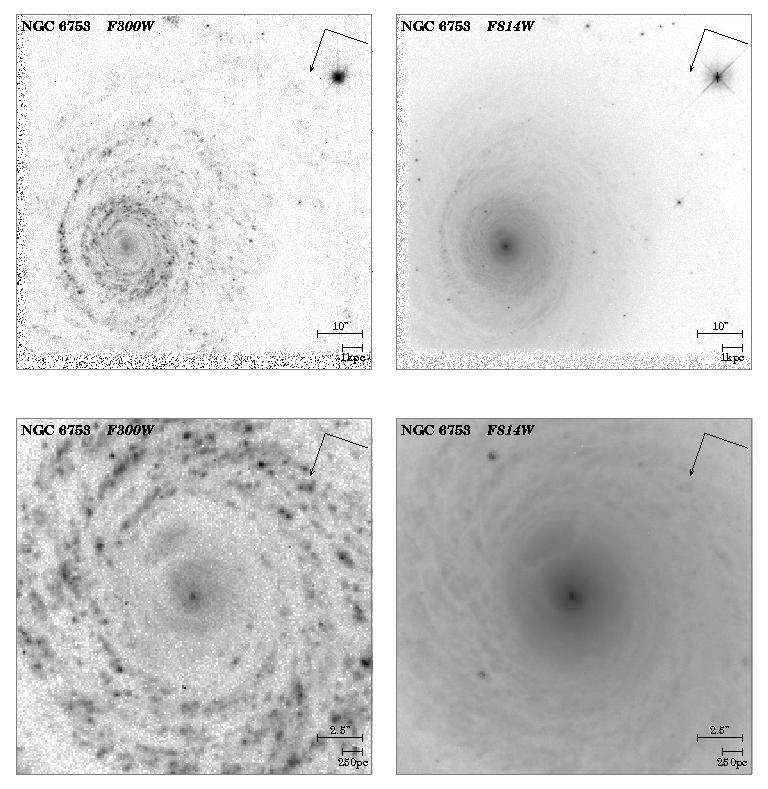 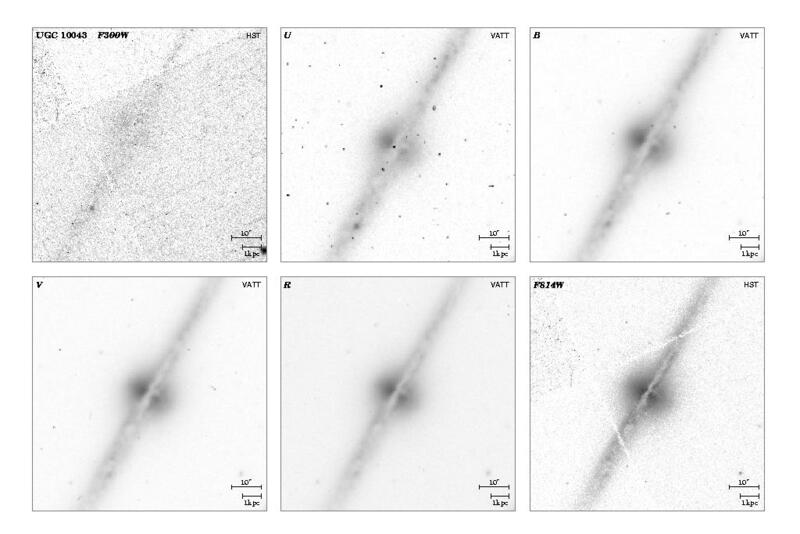 Almost without exception, the mid-type spirals in our sample have their small bulges bisected by a dust-lane, which often appears to be connected to the inner spiral arm structure. 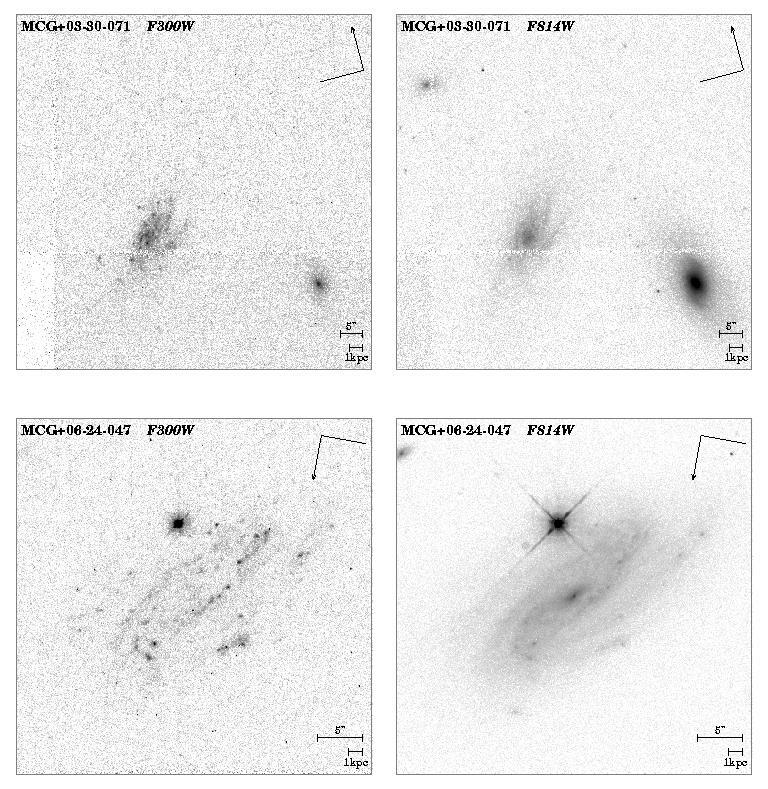 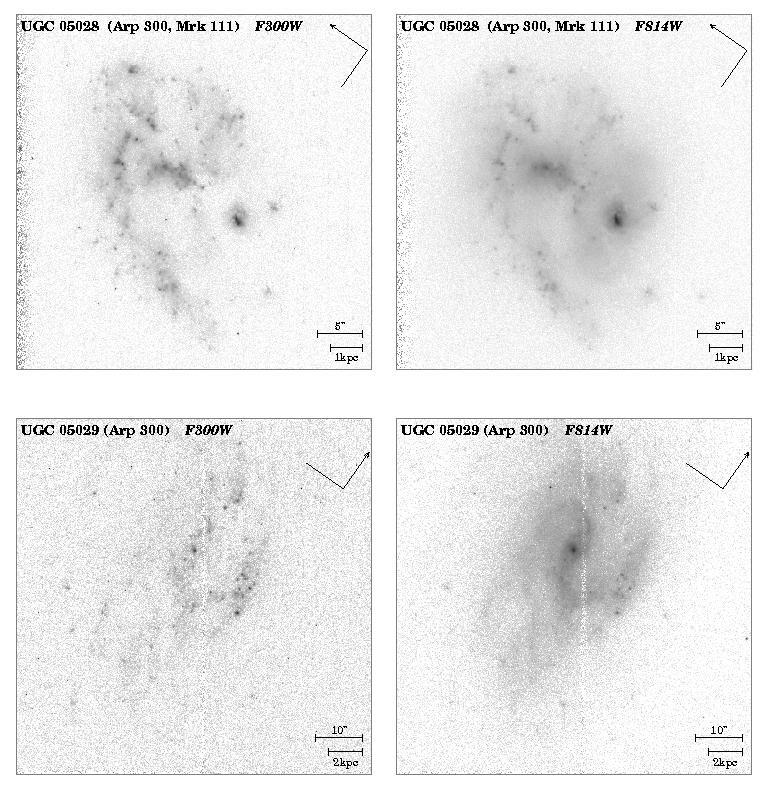 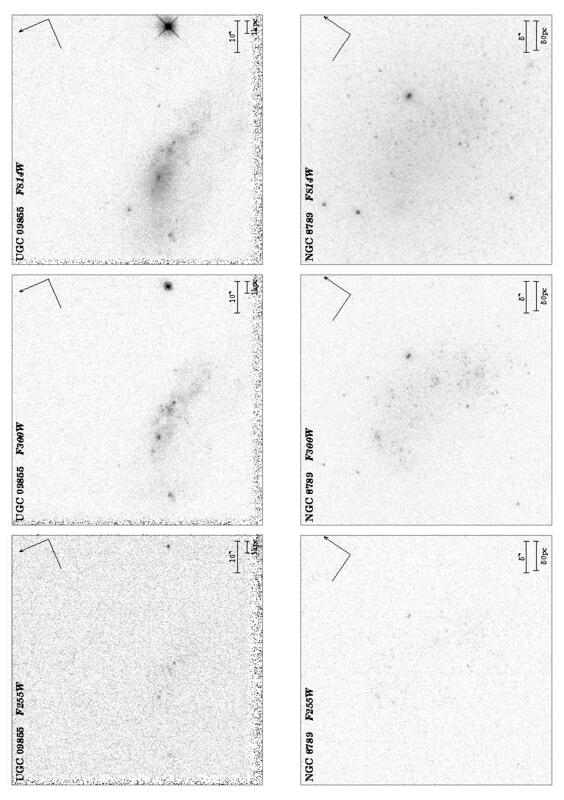 (3) The majority of the heterogeneous subset of late-type, irregular, peculiar and merging galaxies display F300W morphologies that are similar to those seen in F814W, but with important differences due to recognizable dust-features absorbing the bluer light, and due to hot stars, star-clusters, and star-formation "ridges" that are bright in the mid-UV. 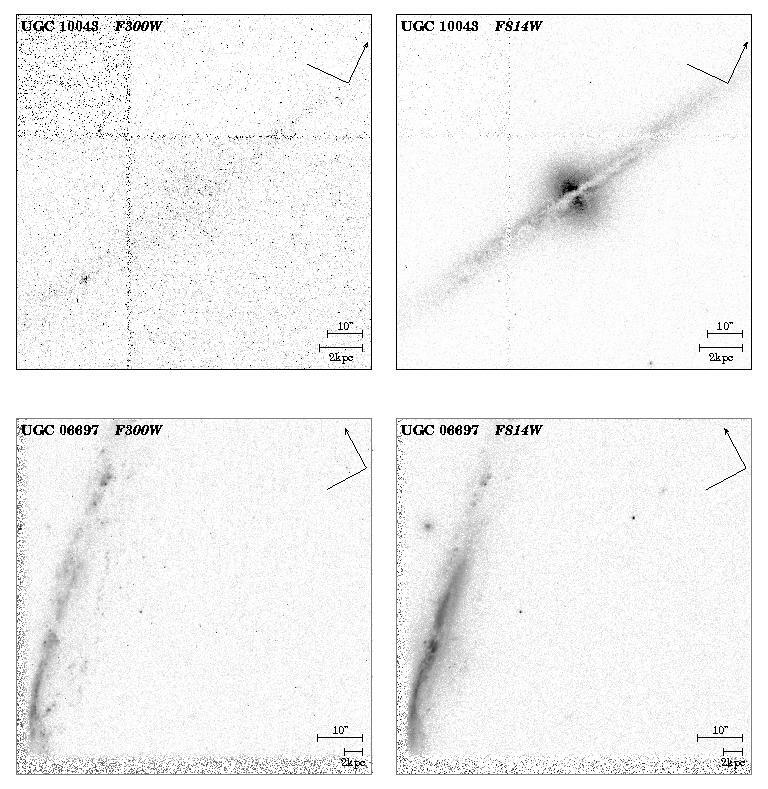 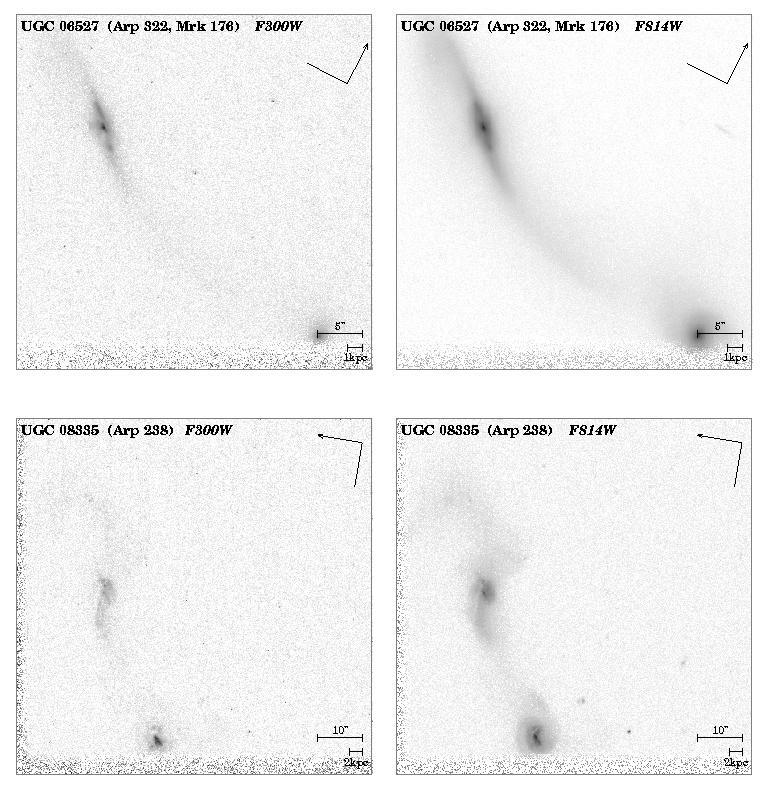 Less than one third of the galaxies classified as late-type in the optical appears sufficiently different in the mid-UV to result in a different classification. 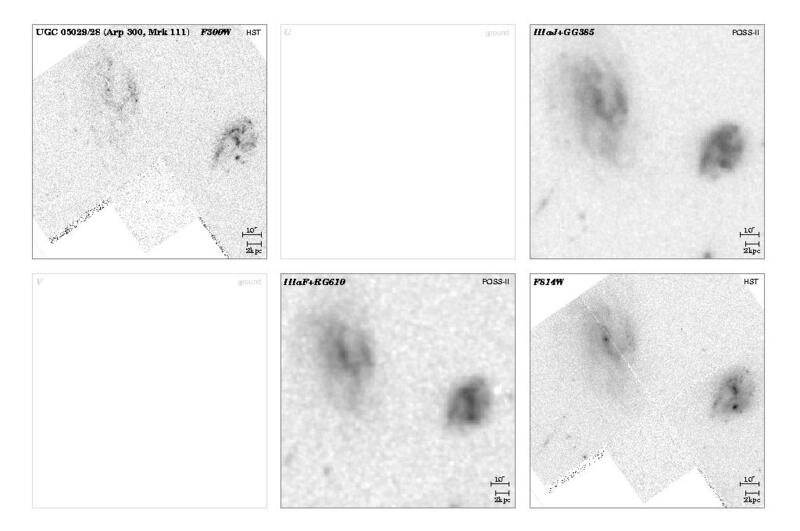 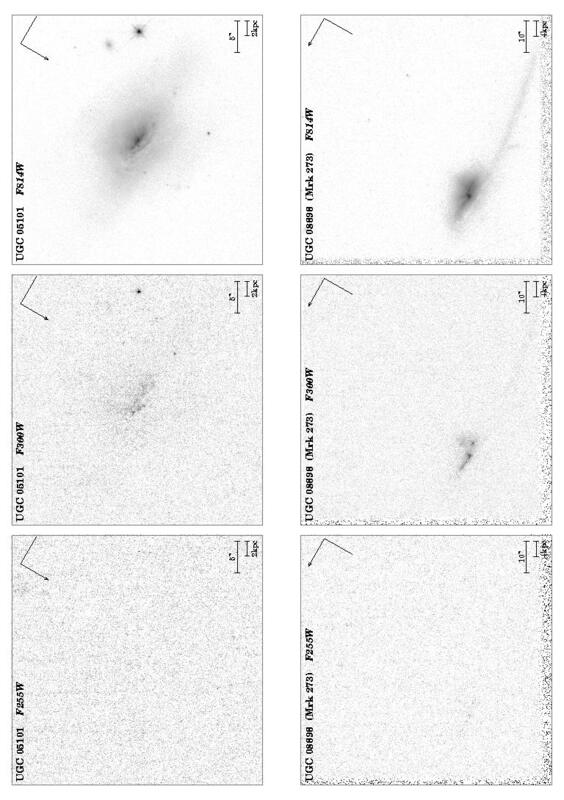 Our HST mid-UV survey of nearby galaxies shows that -- when observed in the rest-frame mid-UV -- early- to mid-type galaxies are more likely to be misclassified as later types than late-type galaxies are to be misclassified as earlier types. 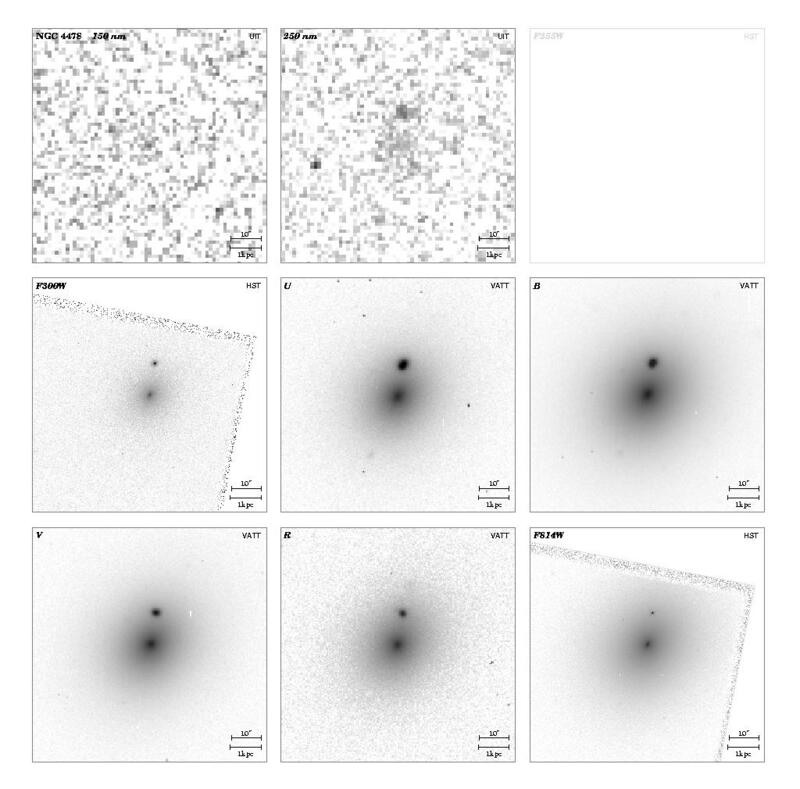 This is because the later type galaxies are dominated by the same young and hot stars in all filters from the mid-UV to the red, and so have a smaller "morphological K-correction" than true earlier type galaxies. 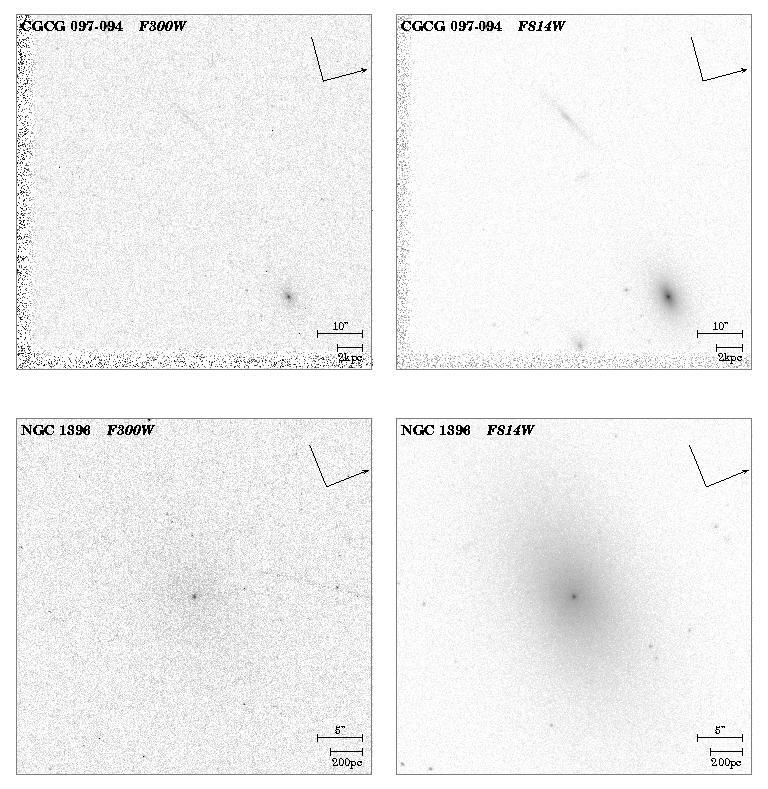 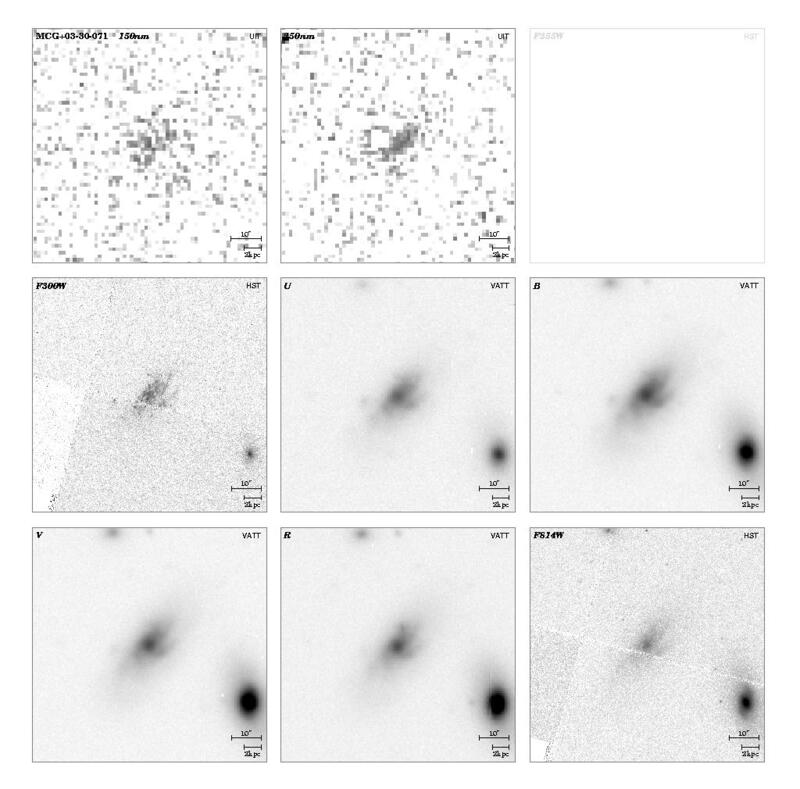 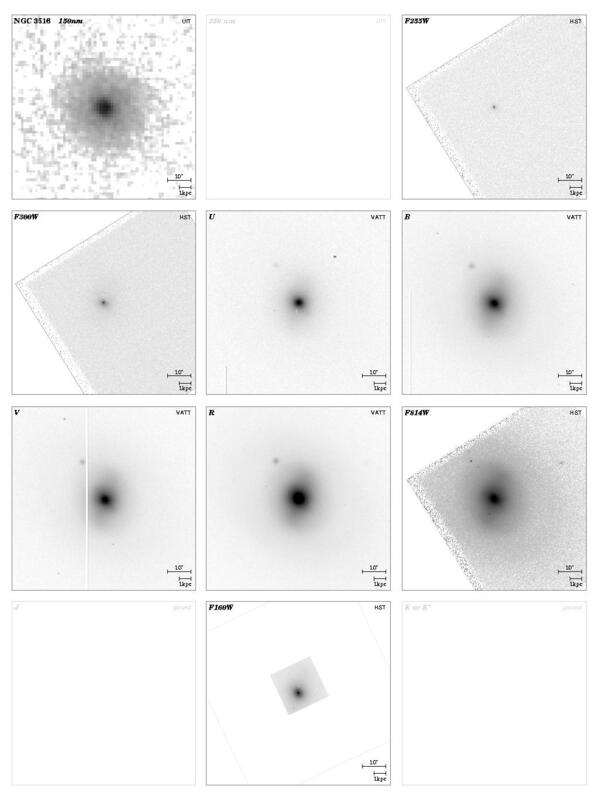 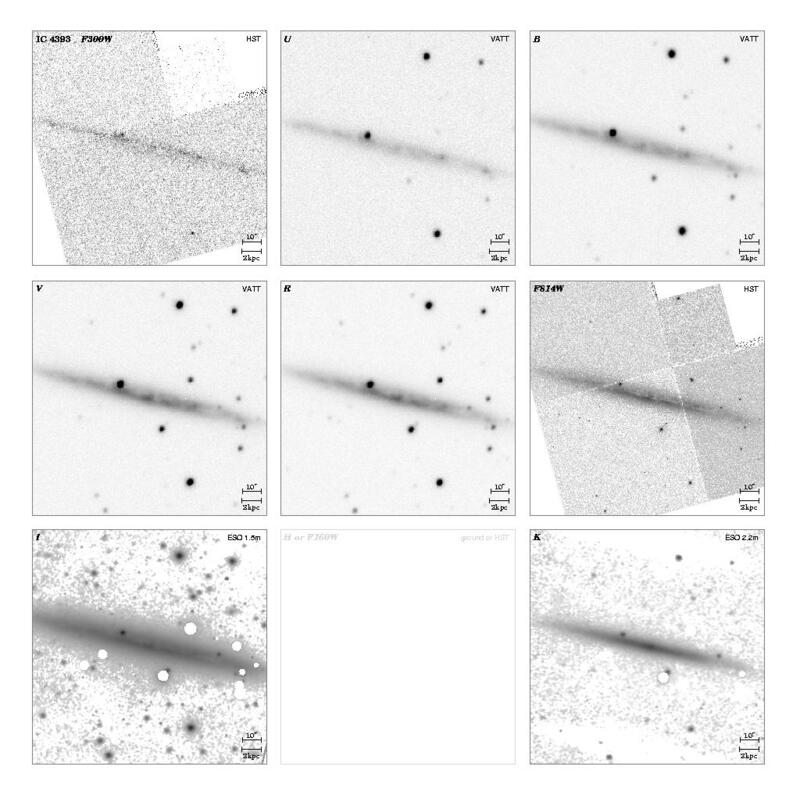 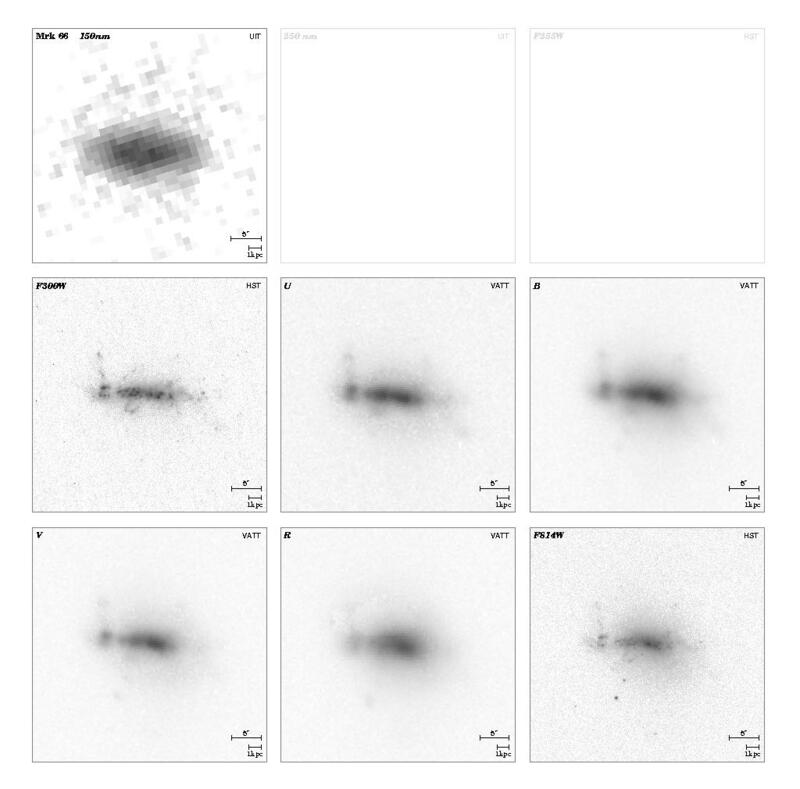 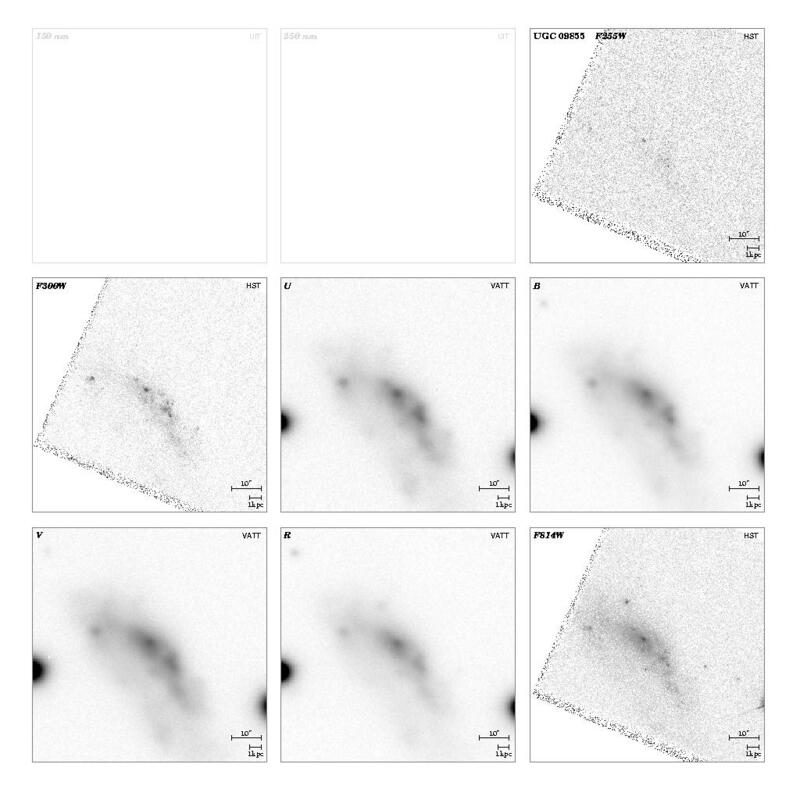 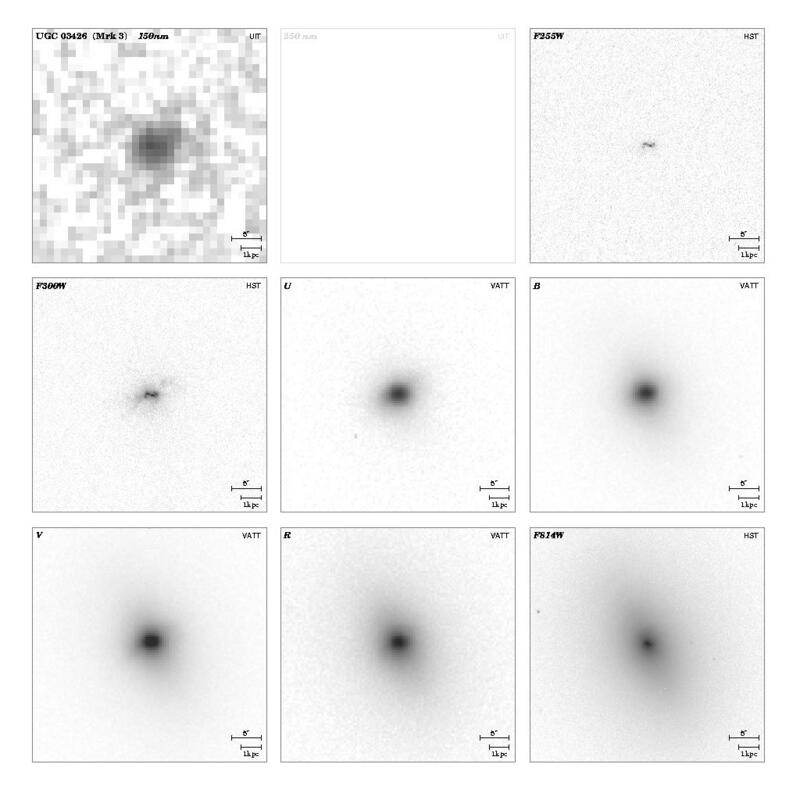 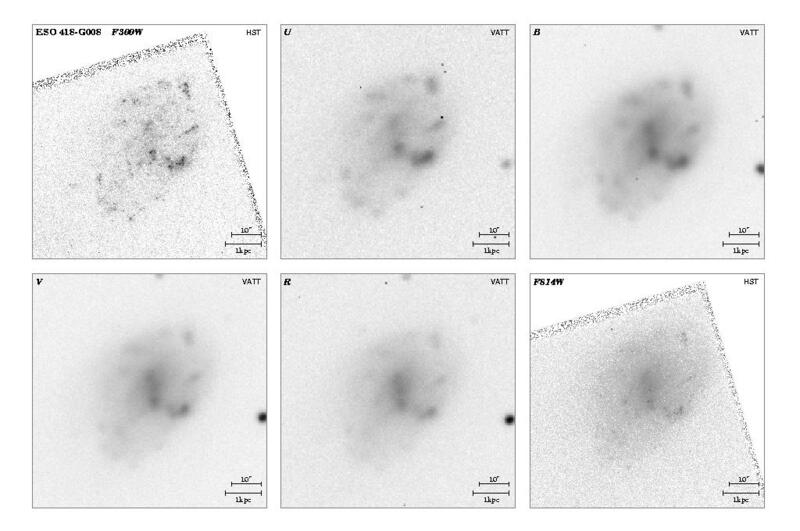 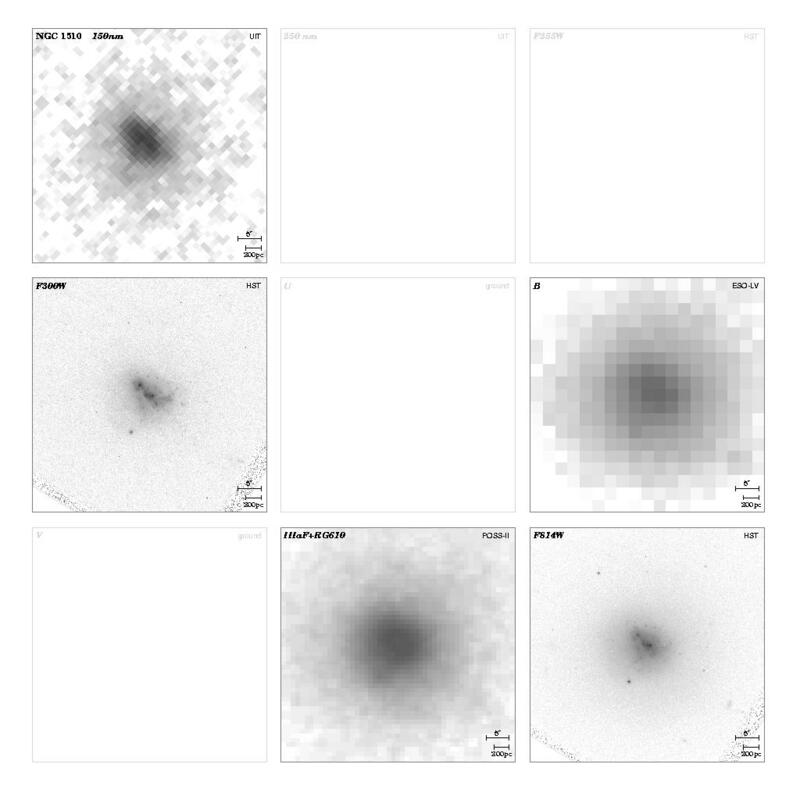 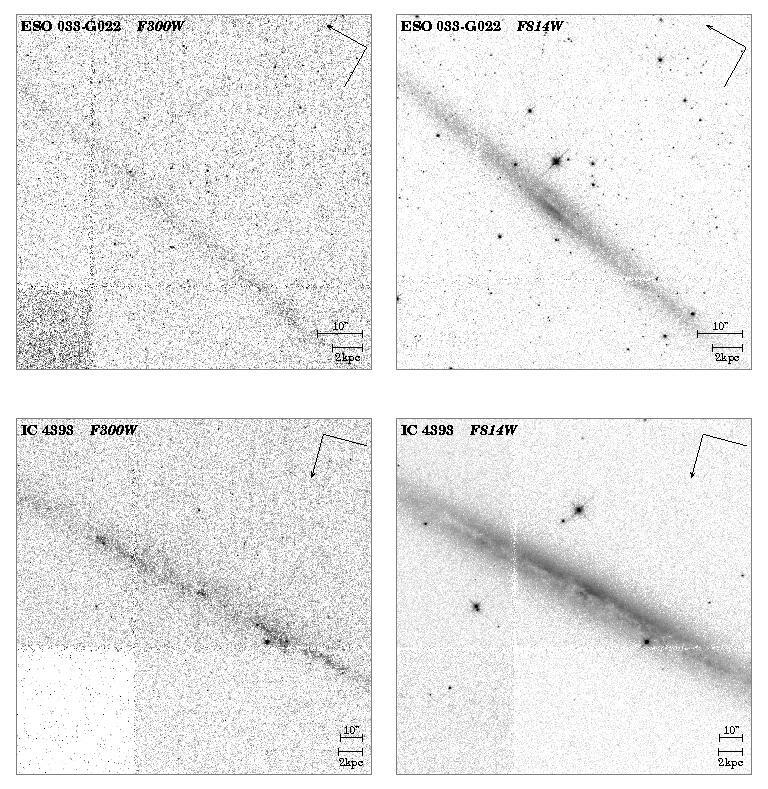 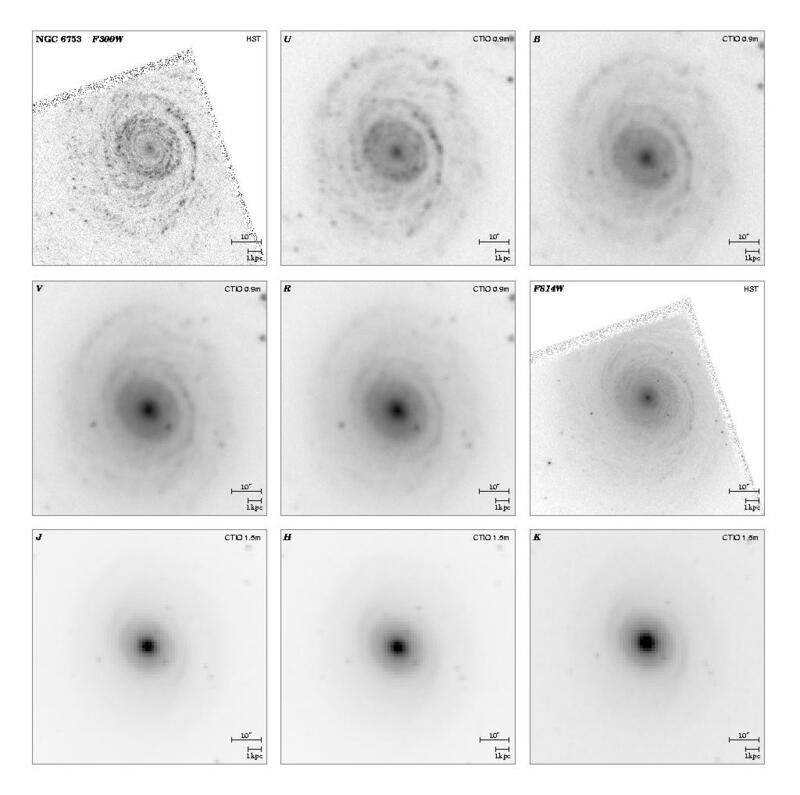 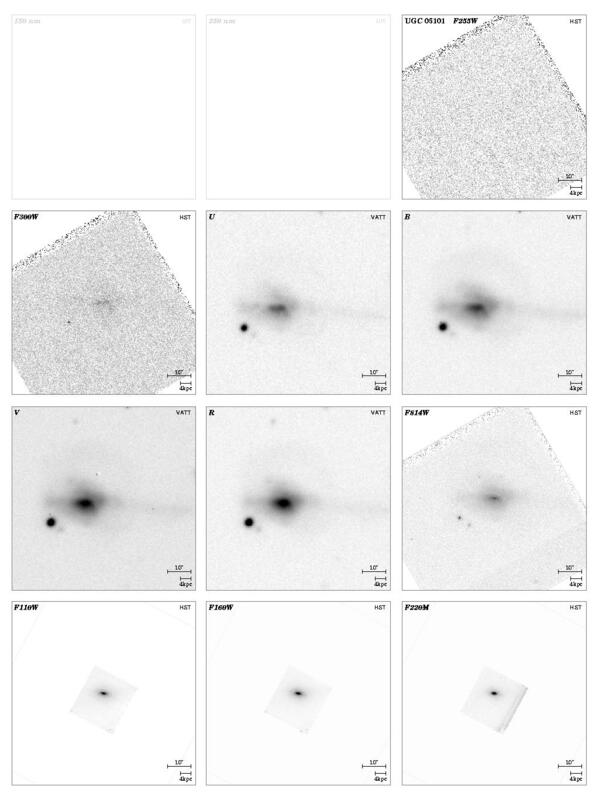 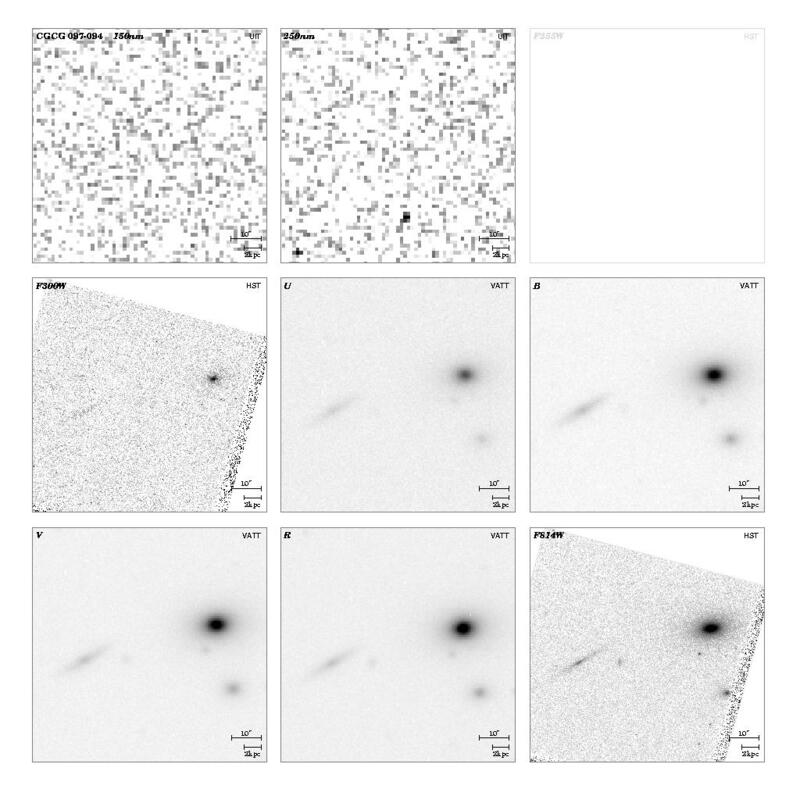 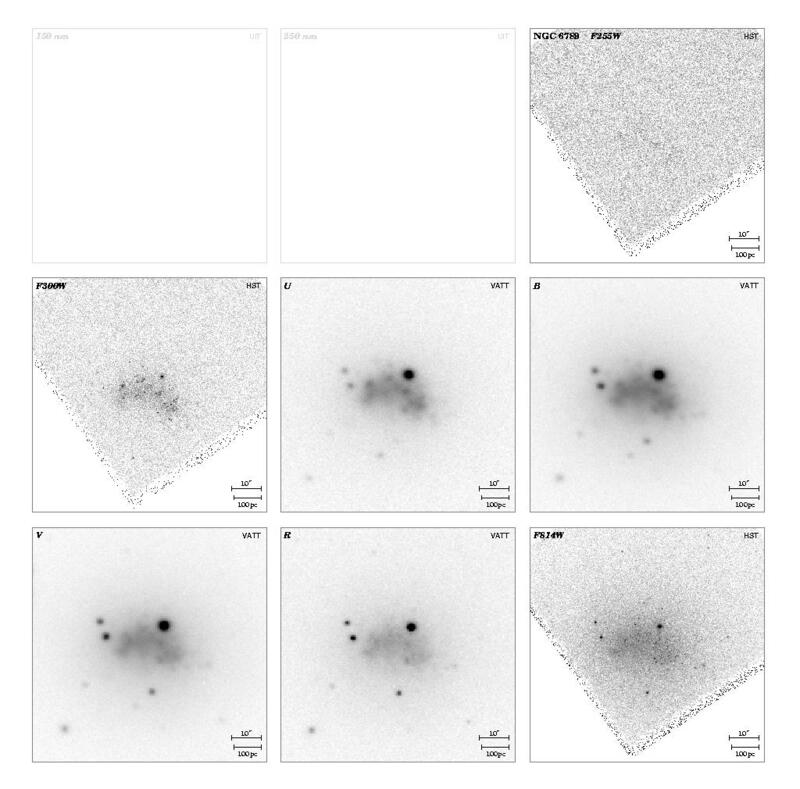 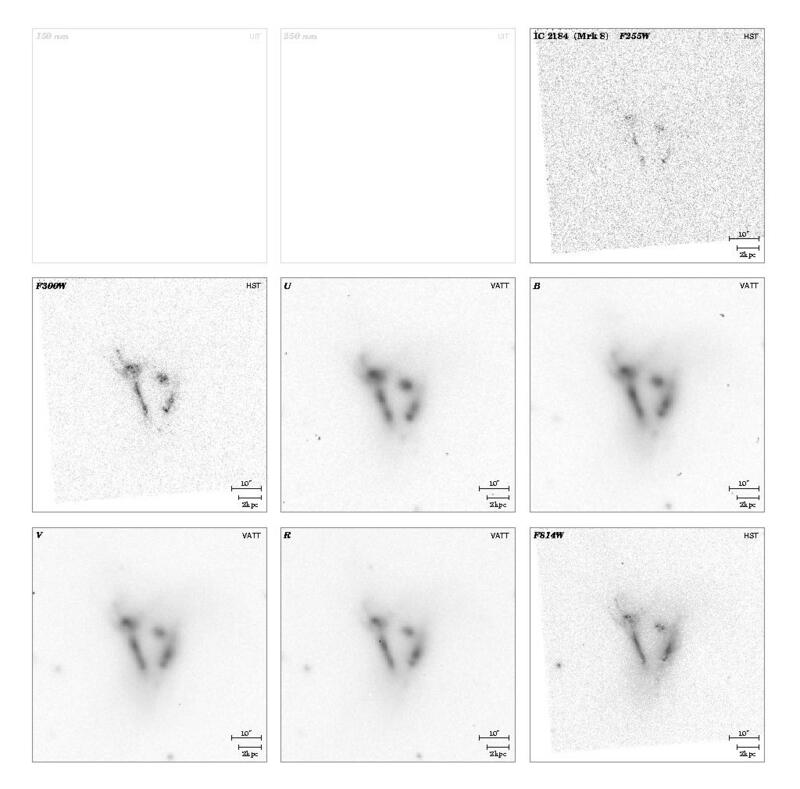 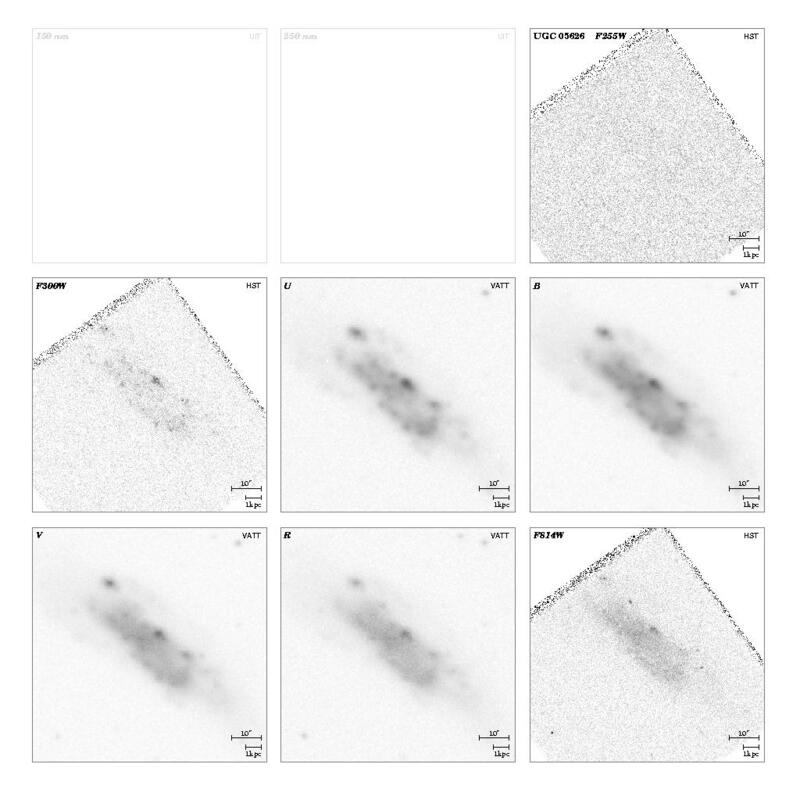 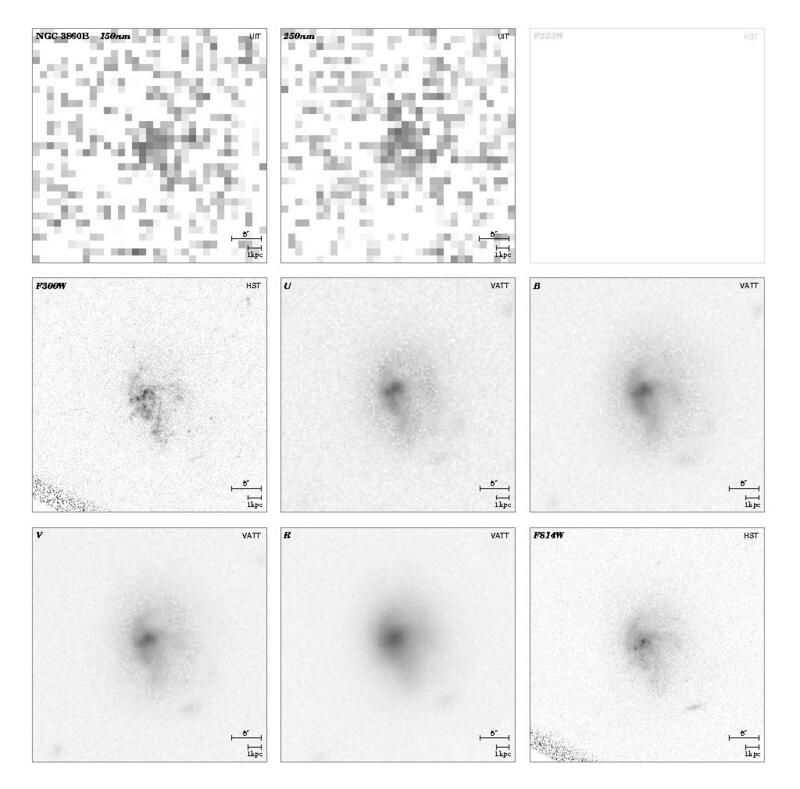 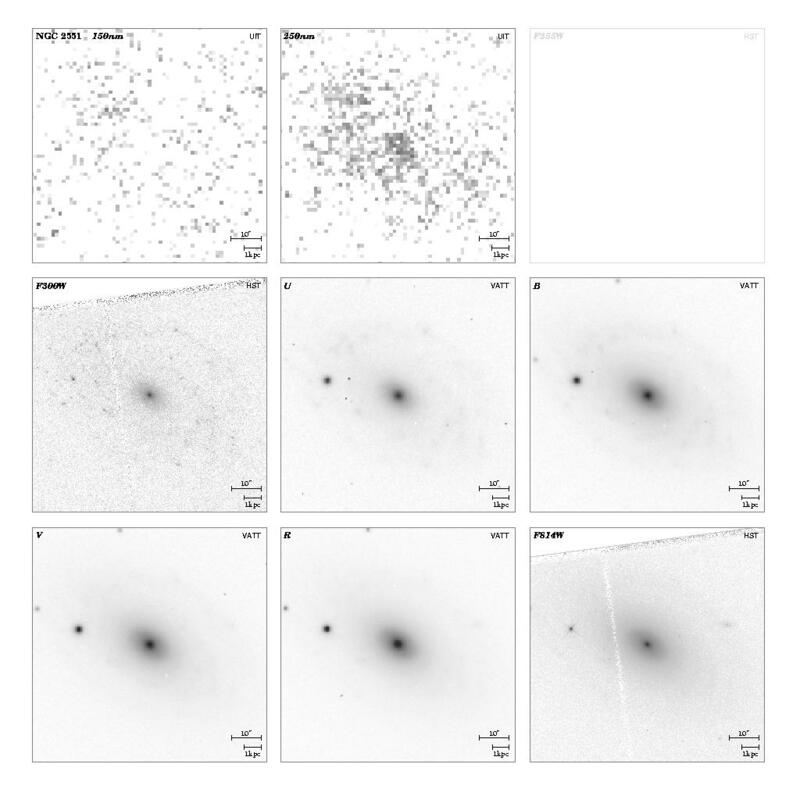 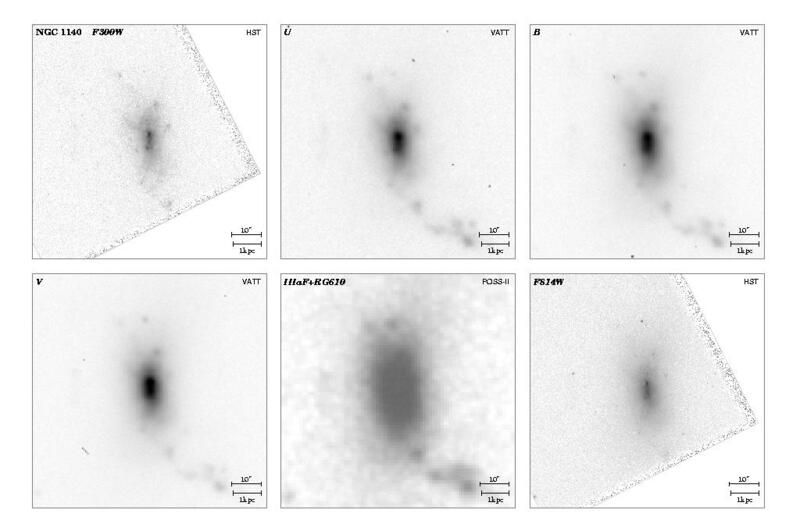 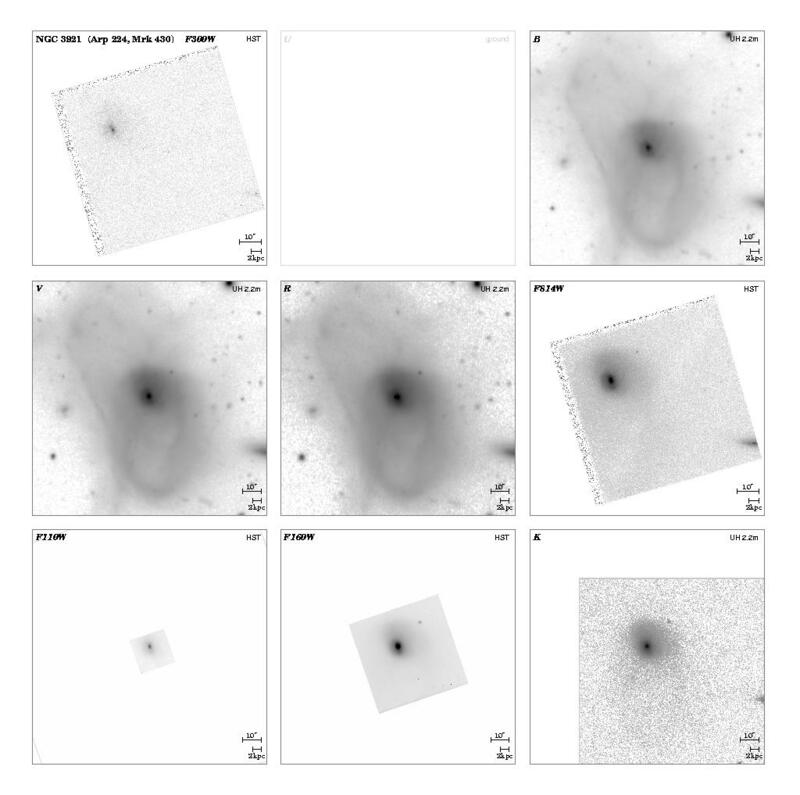 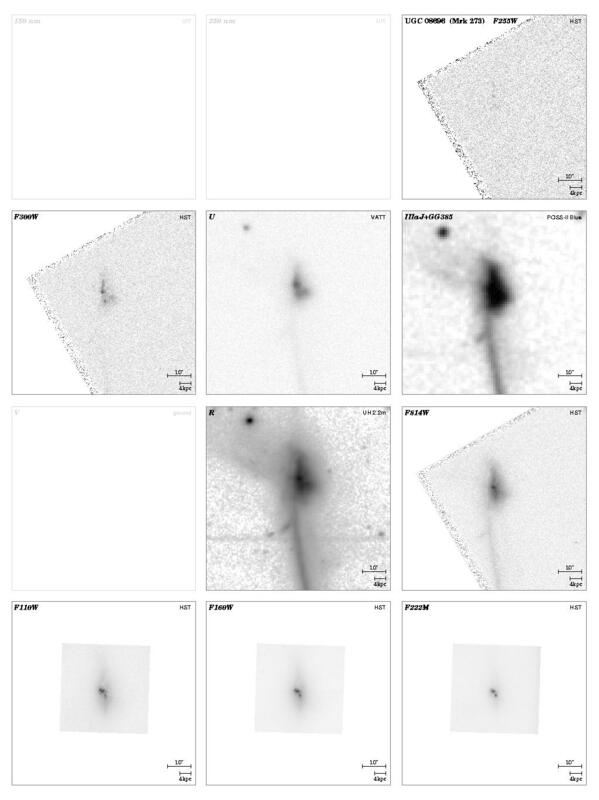 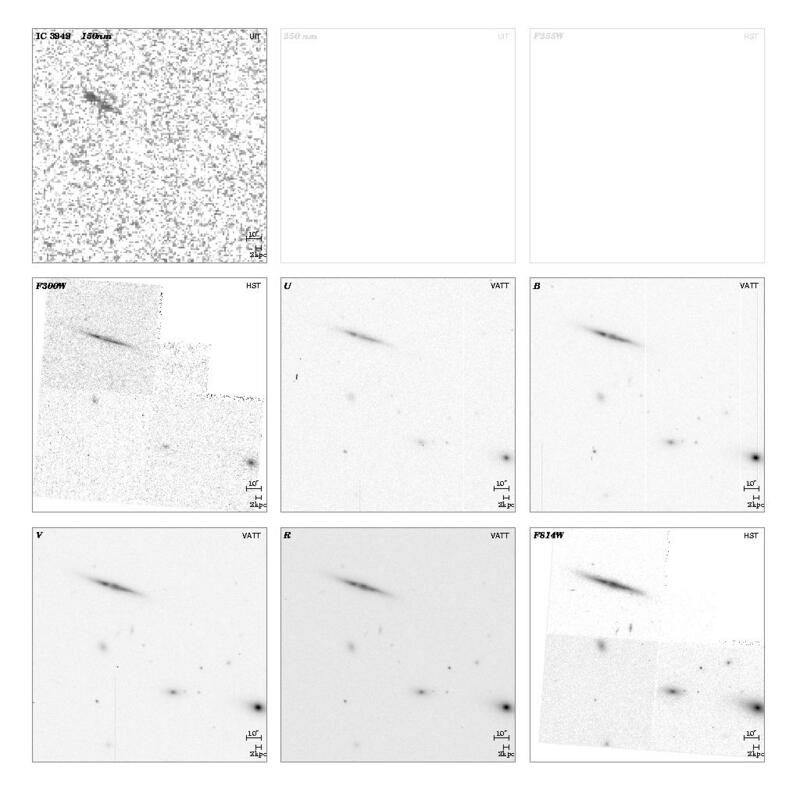 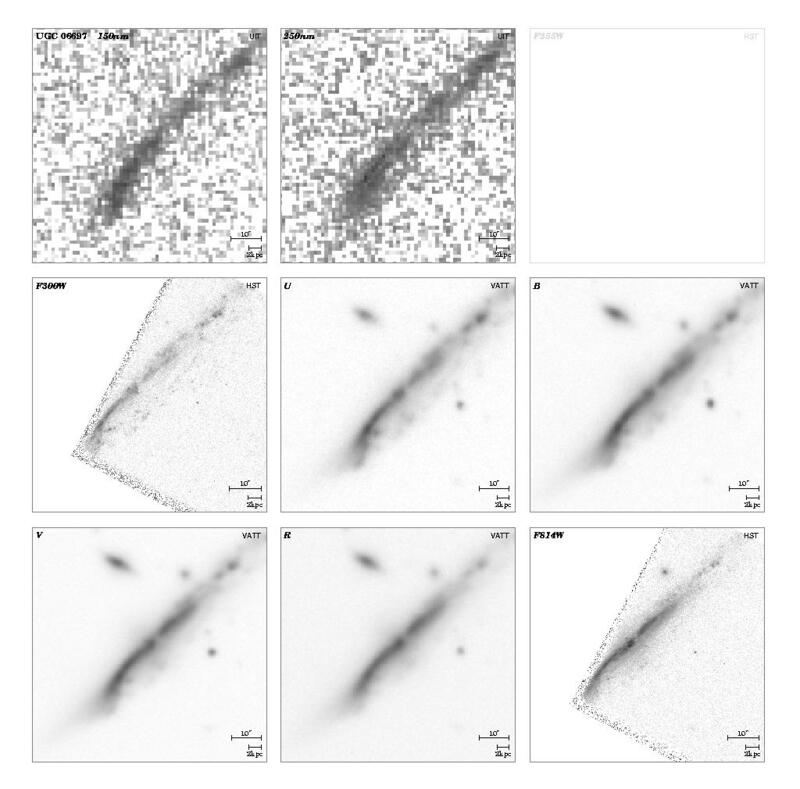 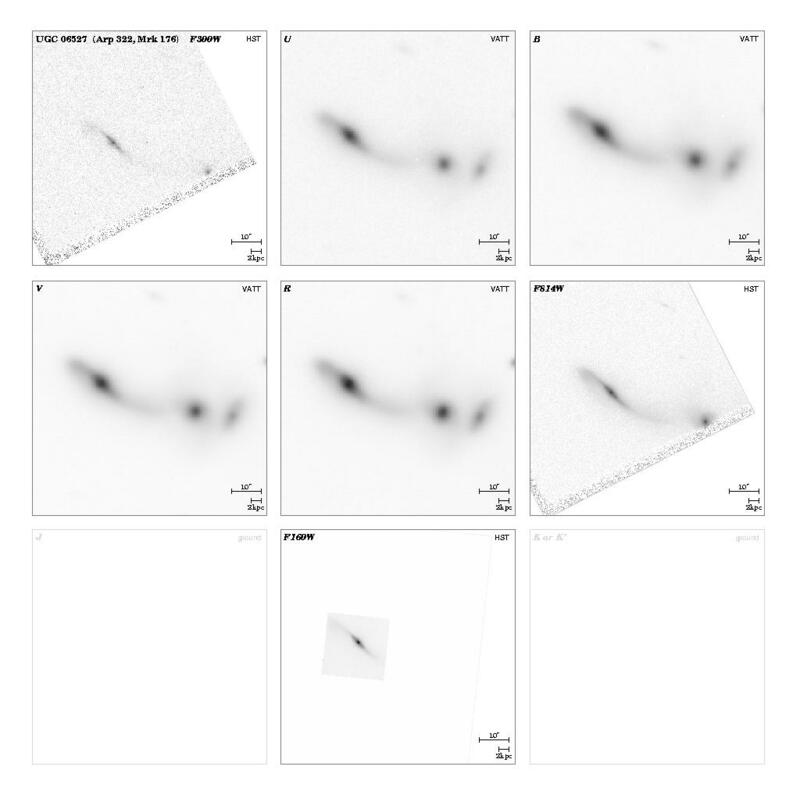 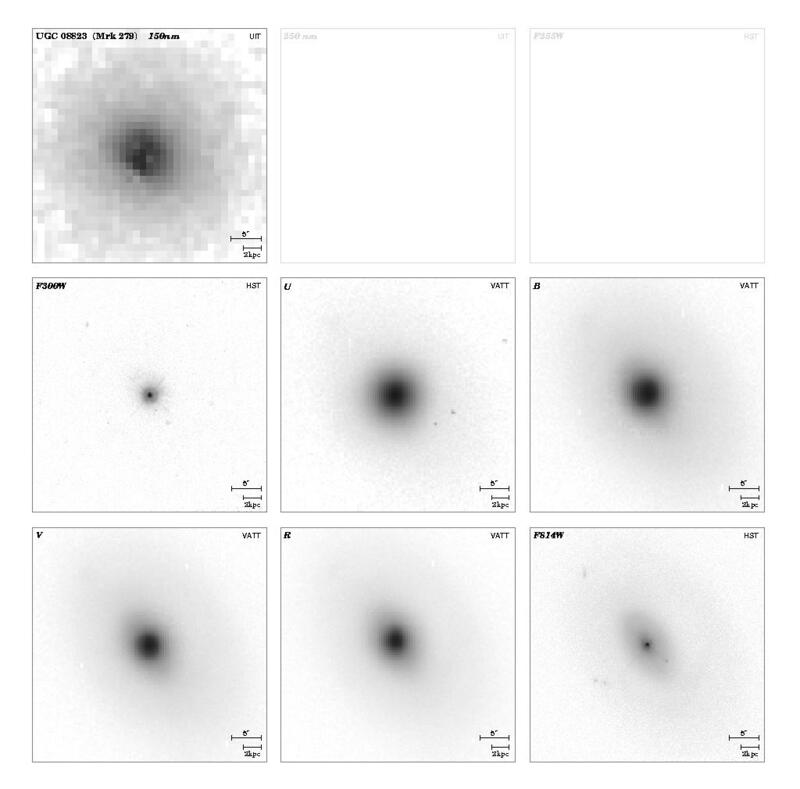 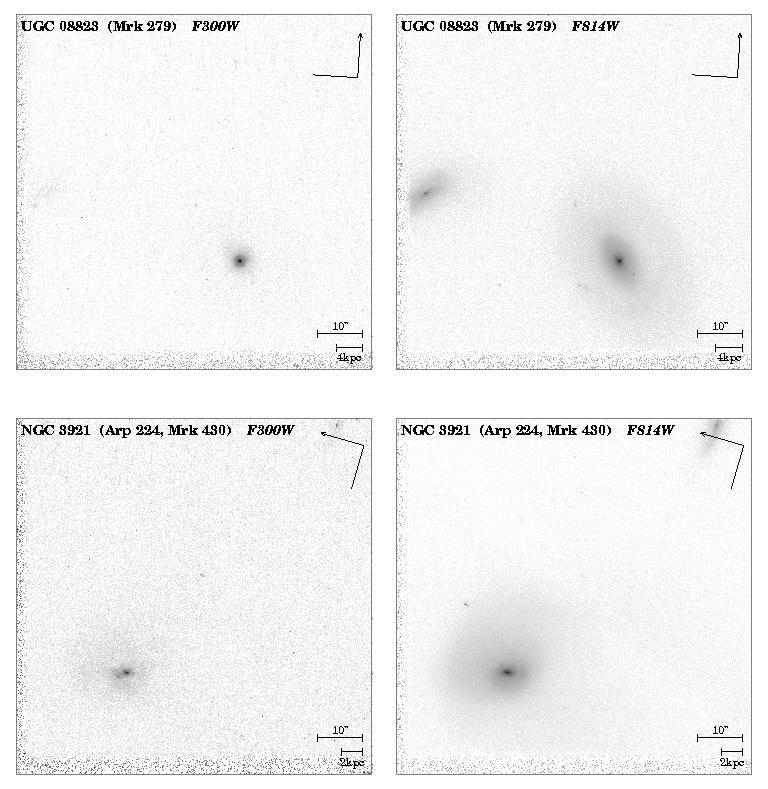 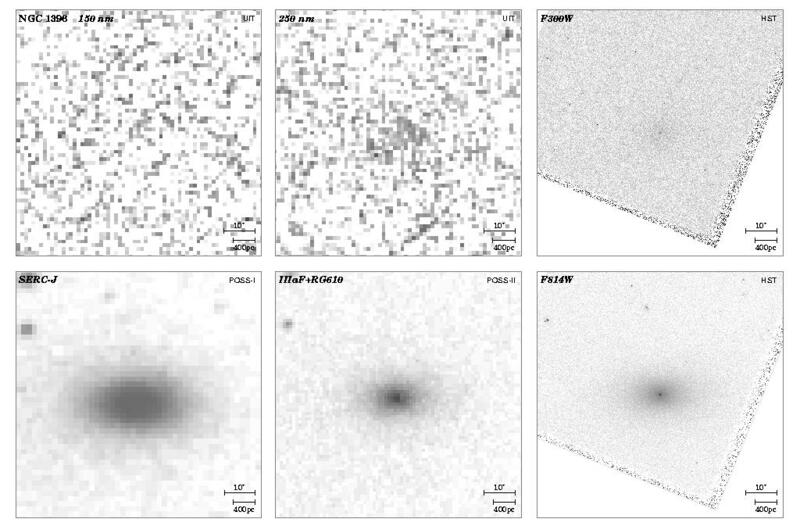 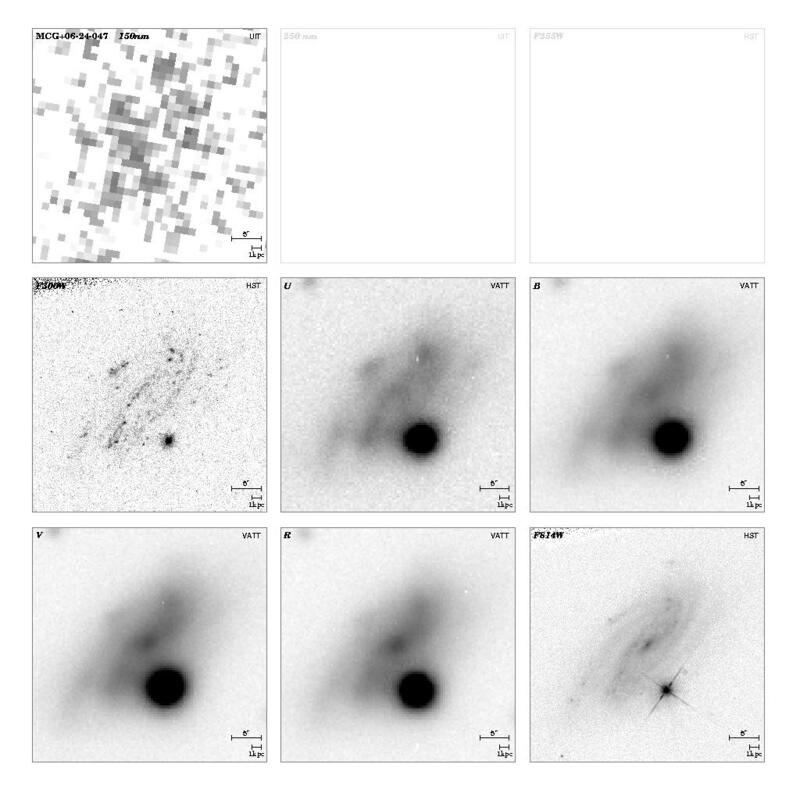 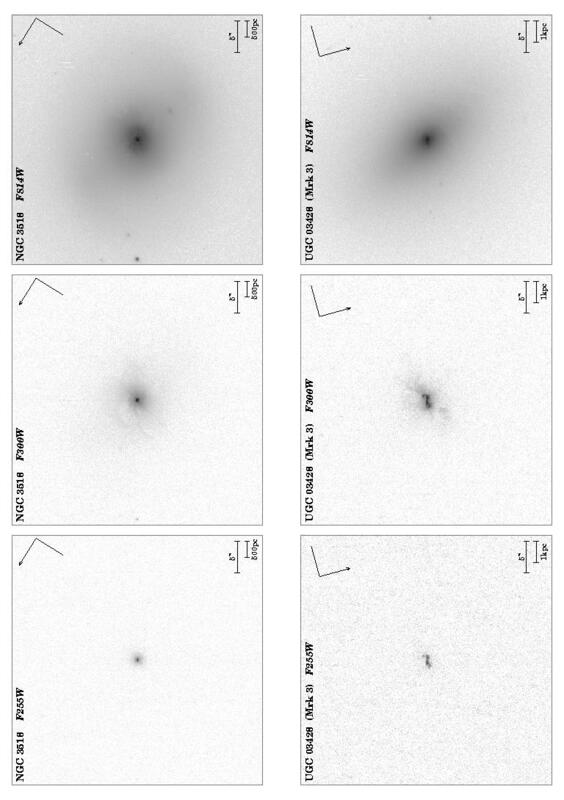 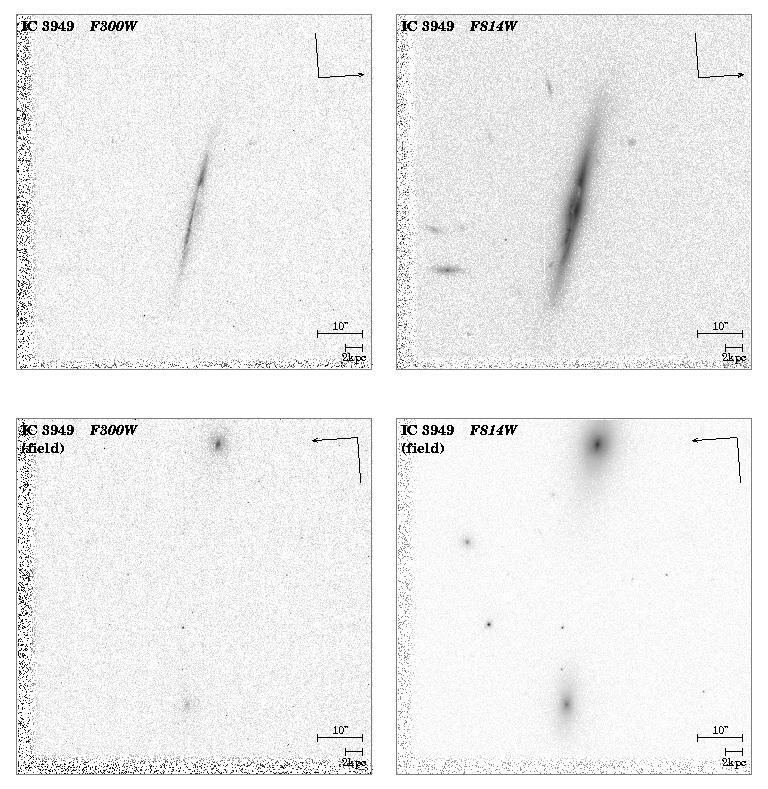 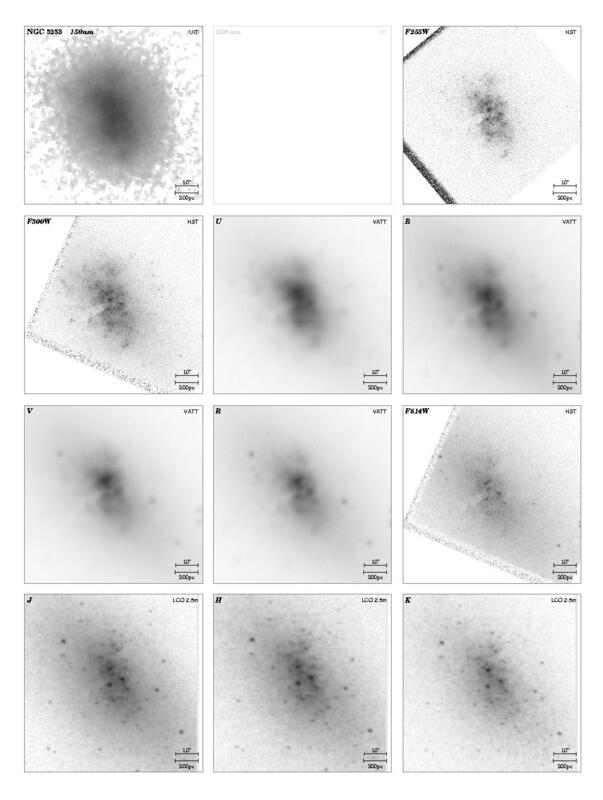 The morphological K-correction can thus explain part, but certainly not all of the excess faint blue late-type galaxies seen in deep HST fields.